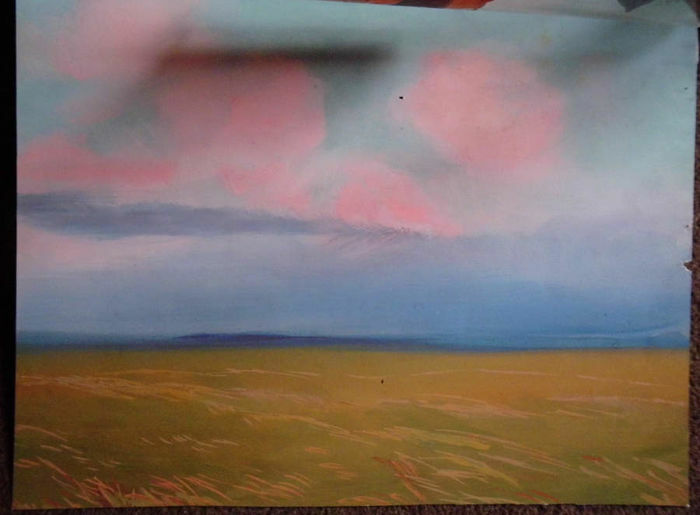 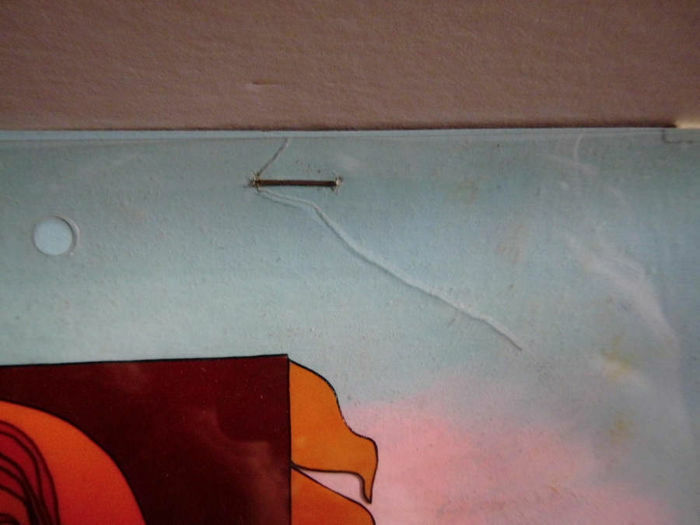 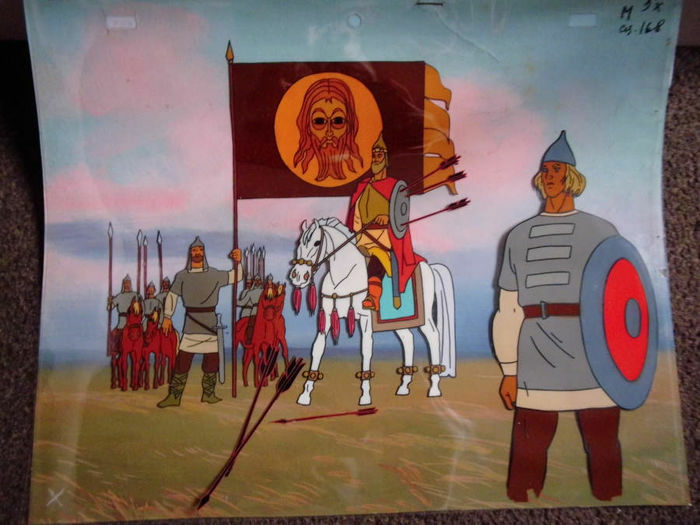 For sale original, very rare and unique to get Russian / Soviet Union animation cel in a frame + hand made background. 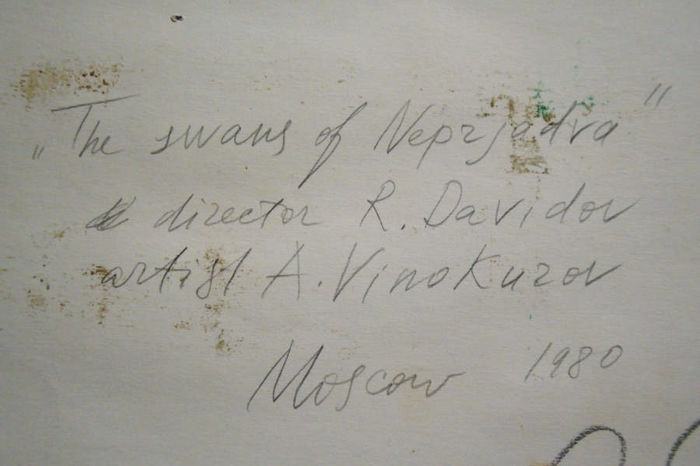 This celluloid was used in a production of "The swans of Nepryadva" from 1980. 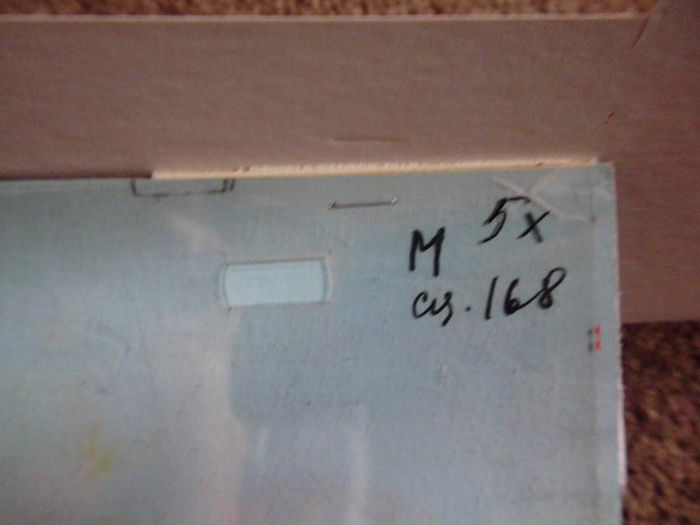 Very good condition, but small crack. 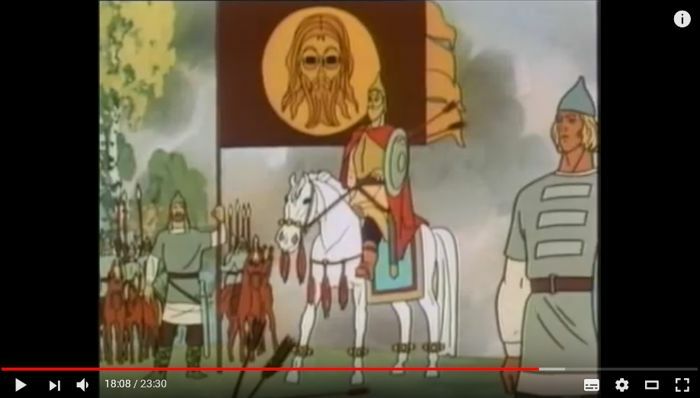 You can check this sequence on the video movie (I made print screen). 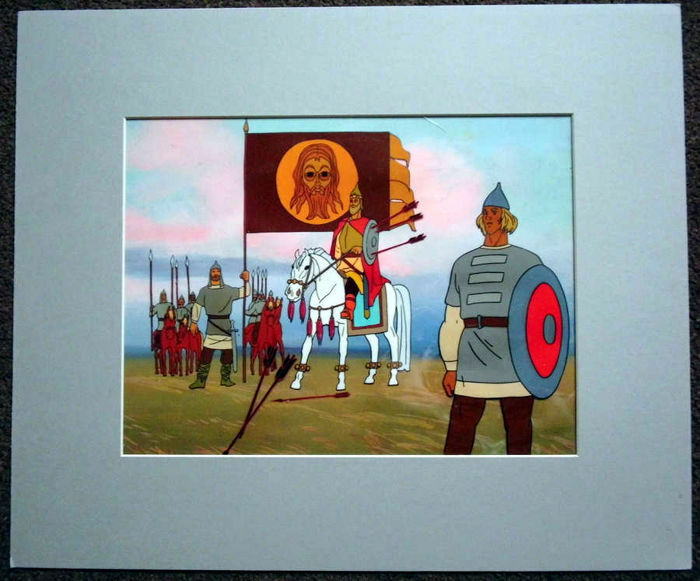 "...is a Soviet cartoon, devoted to the 600th anniversary of the Battle of Kulikovo. 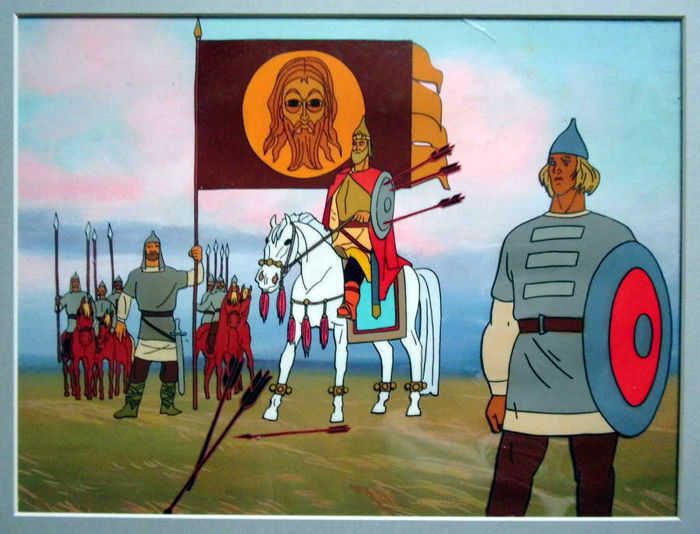 The cartoon was created by Roman Davydov at Soyuzmultfilm studio in 1980The cartoon starts with a back story of the 13th century – showing Mongol invasion and the Battle of the Kalka River".